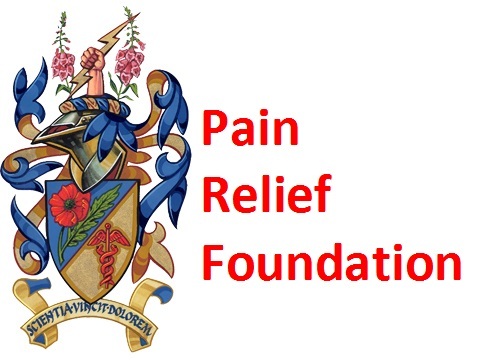 The Pain Relief Foundation started the Annual Lecture as a Millennium project. Each year an eminent pain physician or scientist is invited to lecture on a topic currently of interest, in pain research or management. The lecture is given each year in honour of a person who contributed much to the field of pain treatment or research during his or her career. A short presentation about their life and work is given before the lecture by a fellow academic or clinician. The inaugural lecture was given by Russell Portenoy in the year 2000. 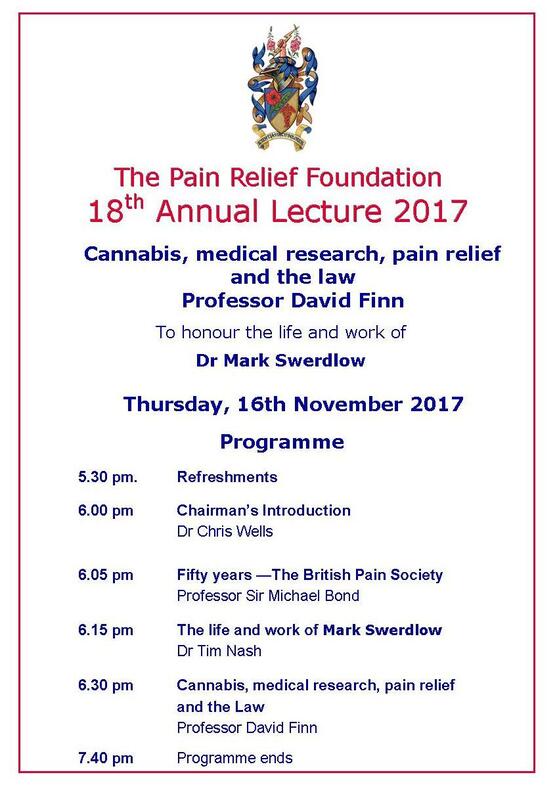 Continuing with the theme of Annual Lectures in which we explore all aspects of chronic pain, the 2017 Lecture “Cannabis, medical research, pain relief and the law” will be presented by Professor David Finn who is a Professor Pharmacology and Therapeutics, Science Foundation Ireland Principal Investigator, Co-Founder and Co-Director of the Centre for Pain Research and Leader of the Galway Neuroscience rheumatologist and a pain specialist. The Lecture will take place at the Clinical Sciences Centre at University Hospital Aintree and refreshments will be served from 5.30pm. This Lecture will honour the life and work of Dr Mark Swerdlow.